Emphasis in family law, real property, and commercial litigation. Commercial partnership dissolution litigation, resulting in partition and sale of real property and accounting. Defense of debt collection action involving issues of real property transactions between the parties. Enforcement of family law judgment in bankruptcy court, requiring extensive discovery, motions to compel, and two-day trial with CPA as expert witness. attend long cause hearings with third-party witnesses, such as police officers. Represent parents at emergency screenings on child custody and visitation issues. Family law trial on deferral of sale of family residence, including experts’ opinions on fair market value and fair market rental value. Partner: Emphasis in family law, real property and construction litigation, commercial lease transactions, and plaintiffs personal injury. 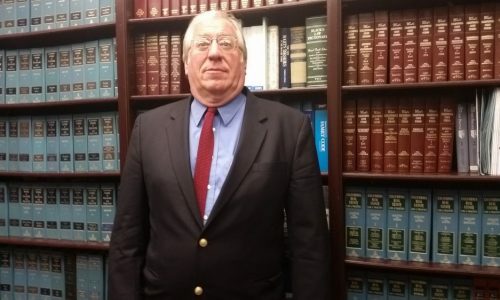 Previous experience as sole practitioner, co-counsel and law firm associate primarily in plaintiffs personal injury litigation–auto, products liability, toxic tort, and legal malpractice. Co-counsel in toxic tort action against chemical manufacturer. Represented 15 plaintiffs for personal injuries suffered from exposures to over 100 atmospheric releases. After four years of litigation and extensive discovery, settled at pretrial settlement conference for just under $1 million. Further emphasis in real property law, principally construction litigation and commercial leasing. Settlement conferences–civil and family courts, 1994 to present Preside at Pretrial Settlement Conferences, Settlement Officer Conferences, and personal property arbitrations. Chairman, Dancin’ on the Avenue Festival, 2000 Responsibilities included supervising staff and volunteers, preparing $250,000 budget for approval by City of San Jose, and writing grant applications for Association festivals (attendance of 30,000 to 45,000, raising about $100,000 per event). Proficient in Windows XP, DOS, WordPerfect Office Suite, QuickBooks Pro, Adobe Acrobat, Legal Solutions, Xspouse, and Dissomaster. Update and maintain hardware and software on networked computers. Designed, built, updated and maintained over ten computers and five networks. Working familiarity with Windows Office Suite and Mac OS. Waligore and Millard, Validation oj Mechanics’ Lien Waivers: AB 844–The Legislative Reaction to Bentz Plumbing, Cal. Real Prop. J., 29 (Fall, 1984).